Even though it is not due until September, I’ve started working on a proposal for the symposium being held at North Carolina Museum of History in May 2011. I’ve got two ideas that I’m working on, and would really appreciate your thoughts. 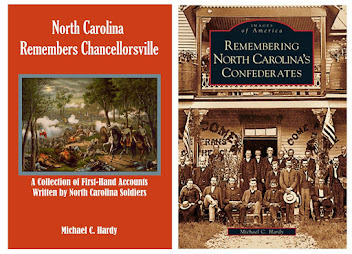 The first idea is one that I’ve talked a lot about here on this blog, and one that I am familiar with from my own books: the role of regimental histories (particularly ones written by North Carolinians) and the process of memory. If you have followed my scribbling for any time, you know that I spend a lot of time pondering what the veterans themselves wrote after the war. 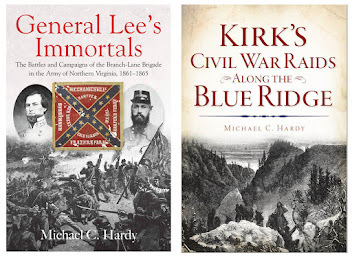 The other idea I have is also a line of thought from some of my research and writing: the placement of monuments in western North Carolina commemorating Confederate (and Union) soldiers (or the lackthereof). Since I have produced formal or pictorial histories of Watauga, Avery, Mitchell, Caldwell, and Yancey, I’ve studied this idea somewhat. So, of those two ideas, what do you think? Which one would you follow? Well, Monday has rolled around again and I guess it is time for a look around the Old North State. Rob Neufeld picks up the story of Tom Dula in a piece in the Asheville Citizen Times. Check it out here. Our friends in the 26th NCT and their recent living history at Appomattox are the subject of an article (which you can read here) in the Richmond Times-Dispatch. Interesting article on the man who founded the town of Cary – check it out here at the Cary Citizen. There is a new Civil War Round Table in Brunswick County – you can get more information here. Tim Auten, author of a book on the battle of Wyse Fork, will be at the library in Concord in May. You can get more details here. There is also an article on the life of Bryan Grimes on the Daily Reflector. Check it out here. I got this book some time ago to review (from McFarland). 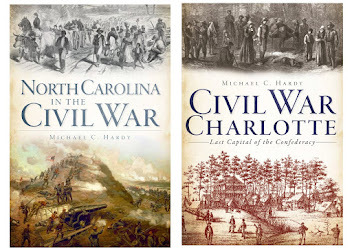 I read it not long ago, and put it aside, thinking it might make a great post on a new blog I was working on about Civil War regimentals. I’ve still not decided what I’m going to do with this other idea, so I thought I would go ahead and post the review of the book. 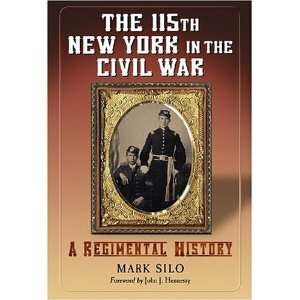 The book is Mark Silo’s The 115th New York in the Civil War: A Regimental History (McFarland 2007). 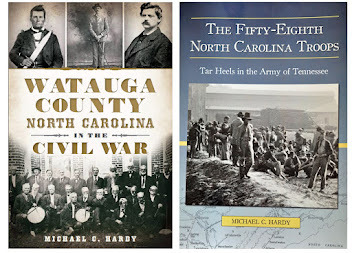 So, what does a history of the 115th New York Infantry have to do with a blog about North Carolina and the War? Well, the 115th New York was involved in the assault on Fort Fisher in January 1865, and would later spend seven weeks garrisoned in Raleigh after the close of the war. However, let’s back up a little and review the 115th New York’s service record. The regiment was recruited from Hamilton, Fulton, Montgomery, and Saratoga Counties, New York. The men of the 115th were mustered into service in August 1862. From reading Silo’s book, one might tend to agree that they were a hard luck regiment. The regiment was positioned on Bolivar Heights near Harper’s Ferry. After less than a month in service, the regiment was surrendered with the rest of the garrison. After being paroled, the 115th traveled to Annapolis and then to Chicago, where the men were quartered at the fairgrounds. On November 20, they were finally paroled and ordered to Washington. As the regiment was leaving, their quarters caught fire and burned. The regiment went first to Washington, D.C., and then Yorktown, and then to Hilton Head. After disembarking at Hilton Head, the regiment found itself “under arrest” for the destruction of the barracks in Chicago. The 115th was later absolved of the crime. They spent much of the spring of 1863 involved in small raids into the interior of South Carolina and Georgia. In the summer of 1863, several junior officers attempted to have their colonel cashiered, but the charges were found to amount to nothing. In early 1864, the members of the 115th New York found themselves involved in the Florida campaign. They lost 296 men in the battle of Olustee (about 51%). The regiment was in Florida until mid-April, then in embarked for Yorktown, joining the Army of the James at Bermuda Hundred. The regiment was involved in numerous battles revolving around the Overland Campaign, like Port Walthall Junction, and Drewrys Bluff, the Crater, and Second Deep Bottom. In December 1864, during the engagement at Chaffin’ s Farm, the regiment was hit by friendly fire coming from the 9th Maine. In early December, the 115th New York returned to the landing at Bermuda Hundred, and set sail for Wilmington, North Carolina. The men of the 115th participated in the December 25 assault on Fort Fisher, but were recalled after landing on the beach. The regiment returned to Virginia, but was back in North Carolina, assaulting Fort Fisher on January 15, where it lost 17 men. The next day, the 115th New York was close to the explosion of the powder magazine at Fort Fisher, losing 11 dead and 41 wounded. From April 14 to June 19, the 115th New York was stationed in Raleigh. By mid June the 115th was back in New York, and on June 26, paraded through the streets of New York City. The men were mustered out of service on July 3, 1865. Mark Silo has done a splendid good reconstructing the history of the 115th New York. He has interwoven numerous letters and diary entries with official documents on the regiment, and has also included numerous photographs of the men themselves, and in some instances, their equipment. I would say that Silo’s history is one of the better regimentals that I have read recently and folks interested in the assault on Fort Fisher and the last days of the war will find this book of interest. If you are interested in the book, contact McFarland at http://www.mcfarlandpub.com/ or at 800.253.2187. This morning I’m still pondering regimental histories, probably because of a post on the 81st Indiana on Dave Powell’s blog. It is a subject that I seem to spend a great deal of time pondering, probably because I’ve written two and would like to write a dozen more. A couple of questions: what is your favorite regimental history (US/CS), and why, or what makes it a good regimental history? I look forward to your comments. Had a great time Saturday giving a tour of downtown Burnsville with an emphasis on the War. There was a group of about 25 people present, and we covered Burnsville prior to war, events during the secession crisis, like the hanging of Zeb Vance in effigy, and war-time events, like the raids in April 1864 and May 1865. It was a lot of fun, and we talked for a little over one hour. I hope you can make the next one (no, we’ve not set a time). 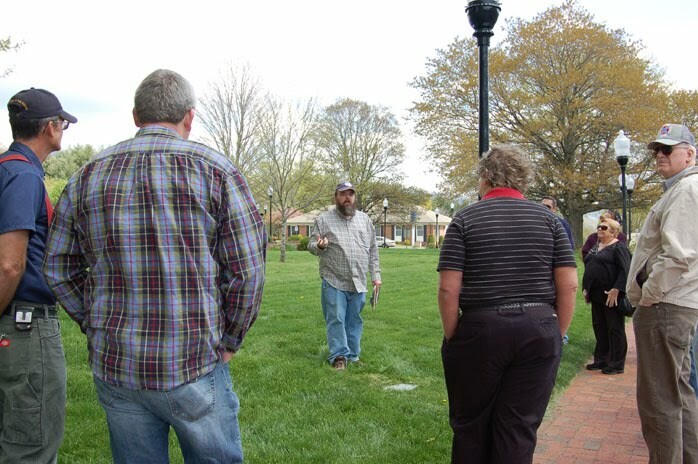 Tomorrow (Saturday, April 17) I’ll be participating in a tour of historic downtown Burnsville in Yancey County. We’ll be talking about what was where during the War, and different events, like the hanging of Zeb Vance in effigy and a couple of different raids. This event is FREE and we will be meeting on the square in front of the library at 1:00 pm. Come and join us if you are in the area. 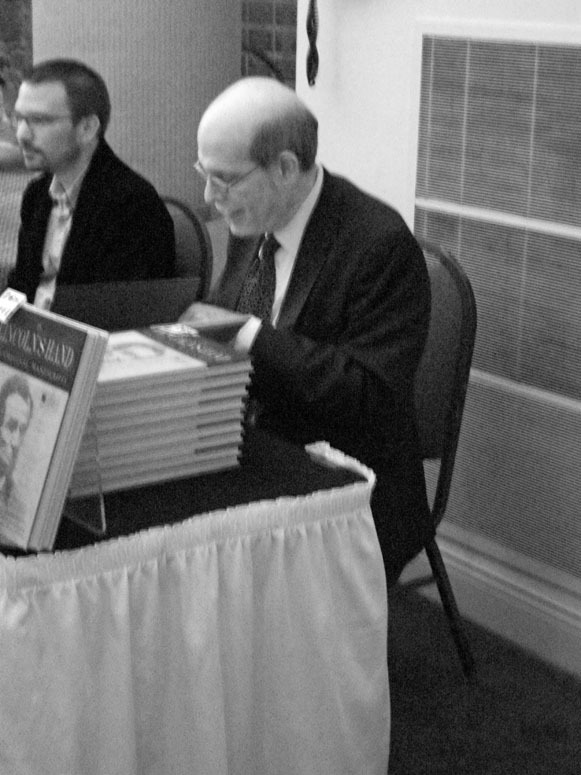 Got a chance to go and hear renown Lincoln scholar Harold Holzer at Appalachian State University a couple of nights ago. Holzer was originally scheduled to speak back in February, and one of our numerous winter snow storms kept him off the mountain. Holzer did a really good job, and spoke to a crowd of about 150 students, faculty, and a few community members (like me). The title of Holzer’s talk was “Why Lincoln Matters—To History, To Our Presidents, and To Us.” Most of the talk centered around the “To Our Presidents” portion of the title. Holzer started out talking about how Ronald Reagan once misquoted Lincoln during a speech at a convention. Funny, he did not bring up how Obama did the same thing the other day. Oh well, the talk was good and lasted about an hour. Then came the follow-up questions, including one about the claims of some regarding North Carolina as the birthplace of Lincoln, and Holzer’s views of the recent “debate” regarding the Virginia governor’s Confederate History Month proclamation, which Holzer supports. Then it was my turn (and I was the last question asker of the evening). My question: last year, C-Span, during the celebration of Lincoln’s birth, announced that there were 14,000 books on Lincoln: the short question is why, and the longer question, as a writer, as a historian, how do you sift through 14,000 books? Holzer, who has penned at least six Lincoln books himself, said he never really consulted anything after 1909. Hmmm…. I’ll let you ponder that response. Gates County was formed in 1779 from portions of Chowan, Hertford, and Perquimans Counties. It was named in honor of Patriot general Horatio Gates. He was also honored with the naming of the county seat, Gates Court House, that was changed to Gatesville in 1831. In 1860, the total population of Gates County was 8,443 people, including 3,902 slaves and 282 free persons of color. One article claims that Gates County was composed mostly of “subsistence farmers [who] did not hold many slaves.” Hmmm, I would think the census says otherwise. In the 1860 presidential election, Breckinridge received 338 votes, Bell received 394, and Douglas received a scant 12 votes. In the February 1861 vote on the question of calling a convention to consider the question of secession, Gates County men voted 367 for, with 141 against. Alfred J. Walton was the elected representative to the convention in May 1861. Walton was a farmer and a “strong secessionist after Lincoln’s call for troops.” He was a justice of the peace and chairman of the county court. Gates County produced several companies for the Confederate cause. They included Companies B and H, 5th North Carolina State Troops; Company E, 33rd North Carolina Troops; Company C, 52nd North Carolina Troops; Company I, 68th North Carolina Troops; and, Company C, 2nd North Carolina Cavalry. William P. Roberts, regarded as the “youngest Confederate general,” hailed from Gates County. He was born there in 1841, and prior to the war, was a teacher and a private in the local Militia. He enlisted on June 10 , 1861, in what would become Company C, 2nd North Carolina Cavalry. Roberts was mustered in as an orderly (or first) sergeant, and on September 30, 1861, was appointed a second lieutenant. By August 13, 1862, he was captain of his company and in February 1864, appointed major of the Second. Roberts was wounded in the head at Haw’s Shop, Virginia, in June 1864, and soon thereafter took command of the Second. He was officially promoted to colonel August 19, 1864. Roberts was promoted to brigadier general in February 1865, and assigned a brigade in Lee’s Divisions of the Army of Northern Virginia. Robert E. Lee is supposed to have presented Roberts with his own gauntlets in recognition of Roberts’s maturity and leadership. He was paroled at Appomattox on April 9, 1865. He later served as a Virginia legislator. Roberts died in Norfolk in 1910, one of the last living Confederate generals, and is buried in the Old City Cemetery in Gatesville. Information regarding military activity in Gates County is scarce. The US Navy landed in Gates County on May 9, 1862, and burned a warehouse containing “bacon, corn, lard, fish, &c.” They were attacked on their return to Elizabeth City. June 5 through 7, 1863, found a US Navy reconnaissance through the county and down the Chowan River. Like in so many counties in North Carolina, the citizens in Gates County erected a monument to local Confederates on July 8, 1915. Well, yet another busy day. I’ll spend much of the day in Watauga County. I’m being interviewed for a documentary on Shull’s Mill, and I’m sure the war will come up. 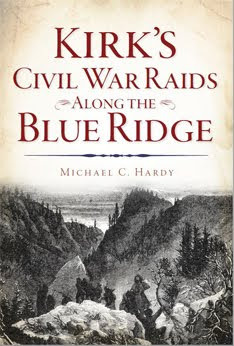 Then, this evening, I’ll be speaking with the folks over in Cove Creek about a North Carolina Civil War Trail Marker. I’ve added some blogs to my roll recently. Make sure you check out The Maryland Campaign – Tom has a letter from a member of the 23rd North Carolina Troops. Three events I want you to know about. 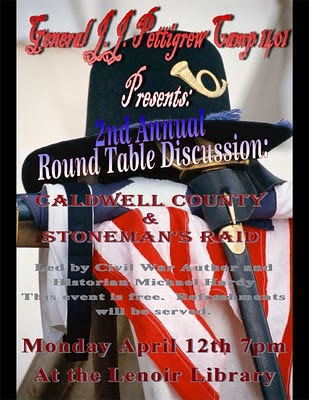 There will be a discussion about Caldwell County and the War in Lenoir next Monday night (April 12). This event is at the library and is free and open to everyone. 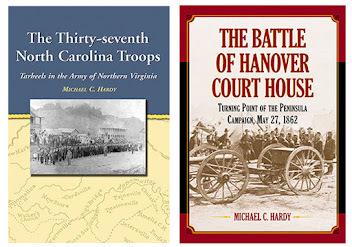 Second, Harold Holzer will be speaking at Appalachian State University on Tuesday, April 13. The event will be at the Broyhill and starts at 8:00 pm. Next Saturday, April 17, there will be a tour of Civil War Burnsville in downtown Burnsville. We will meet on the square in front of the library at 1:00 pm. New poll up on the right – tell us what your favorite War Between the States site in North Carolina is. Thanks! Once a man joined the army, he had little opportunity to get out. If he was an enlisted man, he could be discharged for some medical ailment, or possibly because he was too young or too old. And of course, death would get a man out of the army. Officers submitted letters of resignation for every conceivable reason. The most obvious was due to wounds. 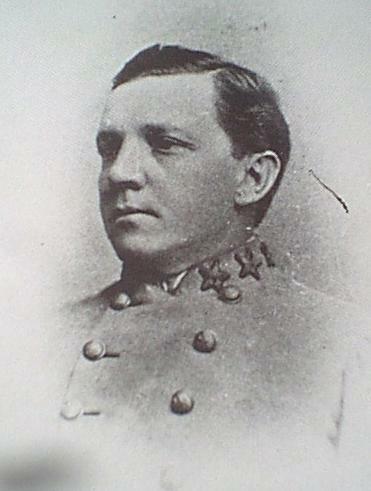 Lt. Samuel J. Helper , Co. B, 14th NCT, was wounded in the left arm during the battle of Sharpsburg (September 17, 1862). He submitted his resignation on May 15, 1863, citing his wound as the reason, and his resignation was accepted on June 1. Lt. William W. Hall of Thomas’s Legion resigned on July 25, 1863, due to an attack of typhoid fever. The same reason, “a severe case of typhoid fever,” was the cause of the resignation of Lt. Col. James M. Lowry of the 29th NCT. Lt. George W. Thompson of Company A, 31st NCT, submitted his resignation on March 28, 1863, citing “chronic rheumatism of the feet & ankles” as his reason. Lt. Col. John C. Keener of the 58th NCT submitted his resignation on June 16, 1863, stating that was “near fifty years of age… [and] now consider it my duty to retire from the [service] for the purpose of going home to attend to the wants &c., of my family.” Keener’s case was helped by his commanding officer, Col. John B. Palmer, who wrote that Keener “is not competent to perform the duties of the office he holds…” Keener’s resignation was accepted on or about that same date. So why was Keener’s accepted and Silver’s (initially) not? Possibly the point of the war (1863 vs. 1865). Age was probably the defining point. Keener was 50, Silver just 32. Had Silver’s resignation been accepted sooner, he would have been liable for service under the conscription law, and would have been put back in service. The same was true of William Blalock of the 26th NCT. He was given a medical discharge, but once the local enrolling officer saw that he was well, he attempted to get him back in service. Another case would be that of Lt. John Tipton of Co. G, 58th NCT. He submitted his resignation on March 26, 1862, considering himself to be “wholly incompetent for the duties and responsibilities of the office through a want of education.” His resignation was accepted on May 15, 1863, and he later served as a private in this same company. These are just a few examples – there are hundreds from North Carolina alone. Three Confederate flags that were once carried into battle will now becarefully transported to West Virginia for specialized conservation treatment. These banners, the colors of the 24th, 34th and 38th N.C. Troops, are part of the flag collection at the N.C. Museum of History in Raleigh. Restoration of these flags requires expensive textile treatment, and the N.C. Division of the Sons of Confederate Veterans has helped make this possible. On March 18, the organization, which has 90 camps (chapters)across the state, presented a $28,361 check to staff members at the Museum of History during a brief ceremony. The funds will also be used to purchasea much-needed storage rack for the museum's conserved flags. "The North Carolina Division of the Sons of Confederate Veterans is very proud and honored to be a part of this flag restoration project," says Tom Smith, Commander of the N.C. Division. "I can state with assurance that our members are dedicated to the work of historic conservation and preservation. We have helped the Museum of History with several other projects and preservation efforts over the years and have enjoyed a productive relationship with the museum." 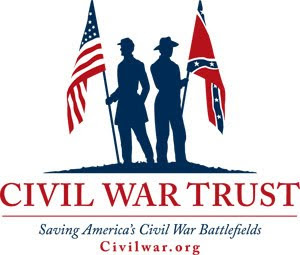 According to museum curator Tom Belton, the Sons of Confederate Veterans, along with other groups, have been instrumental in funding flag conservation for the Museum of History in preparation for exhibition during the N.C.Civil War Sesquicentennial. 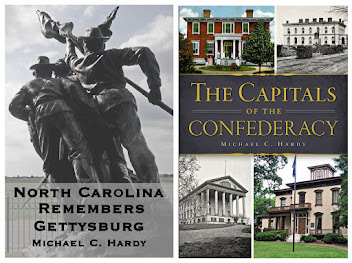 From 2011 to 2015, exhibits and programs will take place across the state in commemoration of the 150th anniversary of the Civil War in North Carolina. After the conservation work is completed for the flags 24th, 34th and 38th N.C. Troops, the N.C. Division of the Sons of Confederate Veterans will present the banners during a dedication ceremony at the Museum of History.